I remember when I first bought a travel cot. Lara was just a few weeks old and I discussed the options at length with my Mummy friends. These days there are so may options and unless you have unlimited funds, it is hard to decide which one to buy that will cover as many of your different requirements as possible. I thought I would share my experiences with you and introduce you to the three main options you have and the age ranges and journeys to which they are most suited. Your first thoughts may be for a traditional fold-up travel cot with a collapsible metal frame. Yes, they can be bulky and heavy, yes they can be awkward to travel with but they are incredibly good value. 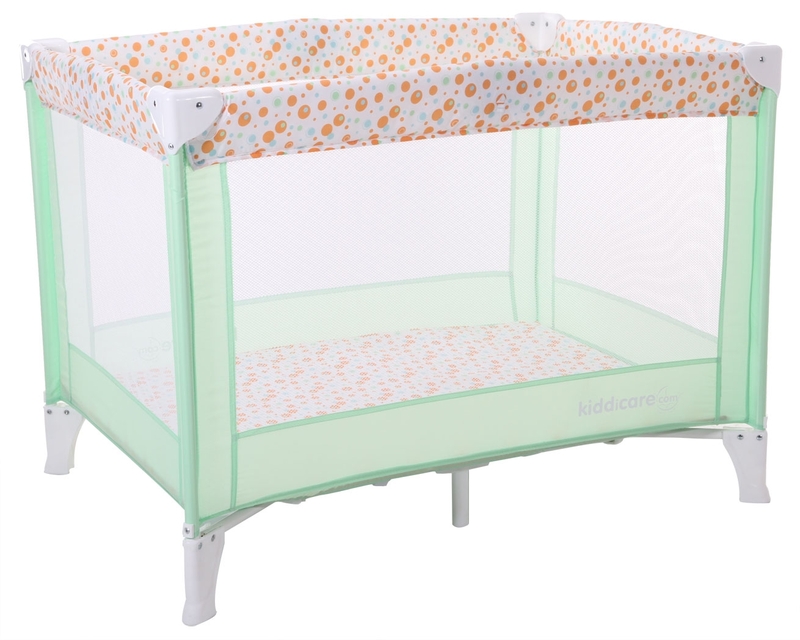 We recently trialled the Kiddicare Traveller Travel Cot. I was pleasantly surprised at how non-bulky and non-heavy it was! At only 7kg is is not as heavy as some of the bigger named brands. It has its own carry case and I can genuinely picture myself carrying it around an airport. Most airlines will take a travel cot in addition to your luggage allowance but check before you travel. Traditional travel cots were, in the past, notoriously complicated to set up. These days they are generally pretty easy. The Kiddicare Traveller is one piece with sides which unfold and click easily into place. Within 2 minutes of receiving it, we had it up and in use in our living room. 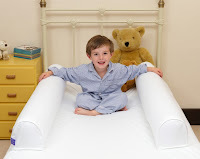 One of the benefits of buying a traditional travel cot is that, in most cases, their mattresses are standard sizes. Additionally, they are all pretty sturdy and can take babies and toddlers upto around 15-18kg. However, you do have to search hard for a cot with a mattress which is comfortable – I have used travel cots in hotels before where the folds in the mattress have been firm and lumpy. 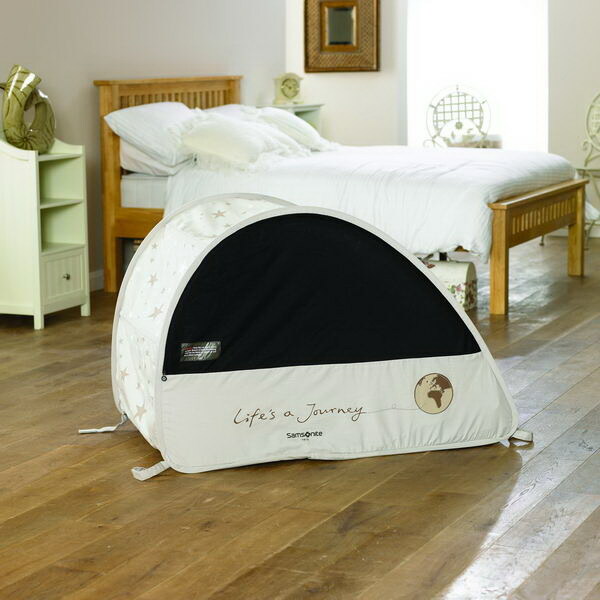 A traditional travel cot is useful for when you are staying away from home for a while (perhaps your main summer holiday) and for holidays where you have plenty of luggage space. At home it is convenient to put one up in your living room as a safe place to plop your baby while you nip to the toilet, or answer the door. The more you pay for a traditional travel cot, the more bells and whistles you get. For travelling abroad, you can get handy wheels for ease in the airports. For small babies, you can find hanging bassinettes. You can spend a lot of money on one but you don't need to . The Kiddicare Traveller costs just £36.99. A pop-up tent-style cot is a great option for young babies who are too big to sleep in a moses basket or travel bassinette. 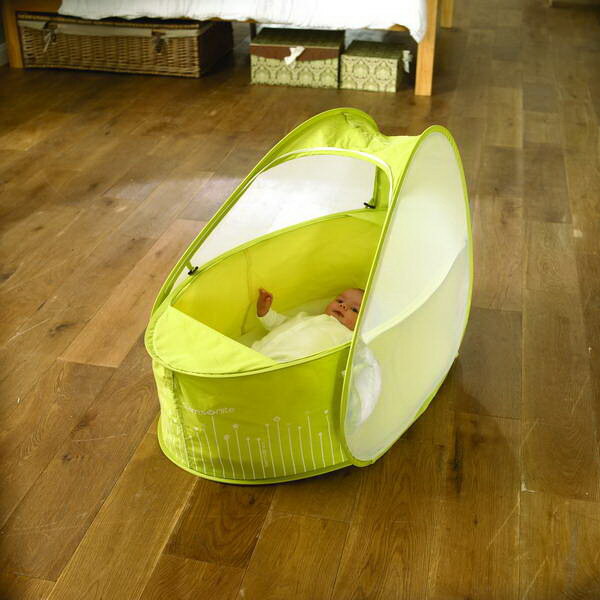 A pop-up cot is incredibly light and compact, so light in fact that you can pop it inside your suitcase rather than messing about with an extra piece of luggage. They are quick and easy to set up and collapse. Many pop-up cots are multi-purpose. Some, such as the Samsonite pop-up bubble (£55), come with a built in mosquito net for holidays to warmer climes. Others such as the new Samsonite Sun & Sleep tent (£74.99) can be used as sun-shades on the beach with their built-in or zip-on UPF covers. In my experience, a pop-up tent has its limitations. I have stayed in places with hard floors where I have felt guilty about leaving Lara's travel cot resting directly on the cold, hard floor. You tend to also find that the mattresses are non-standard sizes and are often integral to the cot meaning that you are limited to the manufacturer's brand when buying sheets and covers. I've blogged about my Samsonite Pop-Up Bubble Travel Cot before (read it here). We have found it indispensable during Lara's first 12 months and it has travelled the globe with us both inside our case, and as a separate, lightweight piece of luggage. You can buy them from several online retailers, including JoJo Maman Bebe. Unfortunately, Lara is now mobile. She twists and turns in her sleep and then, when she wakes, she crawls out of the cot. Even if I zip her in (using the built in mosquito net), my little monkey will rock and roll the pop-up cot until it tips up and rolls with her. 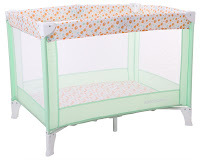 My pop-up cot claims to be suitable up to around 18 months (some are only suitable to 6 months, so check before buying); I think their usable lifetime comes to an end once your child is mobile. My final option is something I only recently discovered. The Dream Tubes are a great travel solution when you have slightly older toddlers who are too big for a travel cot (I must admit that Lara is getting worryingly heavy for the max. 15kg cots and she is only 13 months old). The Dream Tubes by Dusky Moon comprise a high-quality cotton fitted sheet (for either a cot bed or a single bed) which has two zip-up slots into which you insert inflatable tubes. The tubes sit either side of your child and prevent them from rolling on to the floor – an integral bed guard if you like! I can see the Dream Tubes being a great way of ensuring that when you go on holiday or away from home, that you have a means of converting a hotel or guest bed into a safe place for your toddler to sleep. The Dream Tubes are compact when deflated and weigh considerably less than a travel cot. Currently, I feel that Lara is a little too young for me to place my trust in the Dream Tubes over night. When she wakes, she wriggles and squirms and can, with a little effort, haul herself over the tubes. She has not yet learned about the dangers of falling out of bed. The Dream Tubes are really designed for children who have already moved out of a cot. I believe that you can also buy foldable, collapsible bed guards that are more like the traditional bed guards you would attach to the side of your child's bed at home. Drop me an email or leave me a comment if you would like to know more about travel cots – I have plenty of resources to draw on.